You didn’t think the Democrats would do it, did you? You didn’t think that the Democratic Party in Maryland had drifted that far to the radical edge, did you? We’ve been telling you for years that the Maryland Democratic Party has been drifting further and further to the left. We’ve been telling you that Democratic voters have been pushing the Democratic Party more and more to the radical fringes of polite political society. Tonight, they flew over the cliff. Tonight, they nominated Ben Jealous for Governor of Maryland. 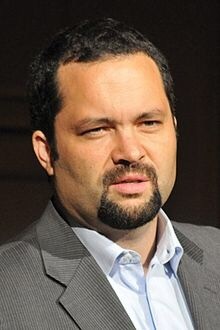 Make no mistake about it; Ben Jealous is a socialist. Sure, he doesn’t want to tell you that he’s a socialist, but he is one. Why else would he have been running on a platform that provides universal health coverage, nevermind the negative consequences it has on people. Why else would he be promoting a plan for universal college, regardless of the interest or desire for somebody to do so. Why else would he be proposing tax hikes, allegedly only on the “one percent” that would affect the ability of every man, woman, and child to live in Maryland? And why else would he be so reticent to explain exactly how he is going to pay for the socialist utopia that he wants to create? We’re talking about a guy who goes out of his way to talk about how much he agrees with Bernie Sanders…. We’re talking about a guy who raises well over 80% of his campaign dollars from outside of Maryland, much of it from the failed state of California. We’re talking about a guy that ignores the facts of other states that have tried a Medicare-for-all scheme and wants to push ahead with a plan that will bankrupt Maryland, limit your options, and will be hazardous to your health. We’re talking about a guy who ran his primary campaign by the seat of his pants, with literally no idea what he was proposing or how he was going to pay for it. It may have been Democartic primary voters who had a temper tantrum last night, but their decision could impact all Marylanders. If Ben Jealous is elected Governor, your taxes will go up, the size of government will increase, your health care will go aware and your freedom will wither. Ben Jealous wants to turn Maryland into Cuba on the Chesapeake. Maryland can’t afford to follow that path. Tuesday’s result shows you the importance of re-electing Governor Larry Hogan this fall. The choice could not be more clear between the two candidates. One, Governor Hogan, who believes in lowering taxes, cutting the size of government, and working to ensure that Marylanders have the opportunity to be prosperous. The other, Ben Jealous, believes that people should be servants to the state, only receiving the goods, services, and income that the state allows you to have. Larry Hogan wants people to be citizens. Ben Jealous wants people to be subjects. The battle is now enjoined. And there is a lot of work to be done between now and November 6th.